A globally renowned university ranking that places Ryerson as the straggler among Canadian universities isn’t fazing Ryerson president Mohamed Lachemi, who says it fails to account for the aptitudes of the university. Quacquarelli Symonds (QS), a company that specializes in education, released their annual listing of the world’s top 1000 universities, the QS World University Rankings. It is considered one of the most respected university rankings, among others like the Academic Ranking of World Universities and the Times Higher Education World University Rankings. 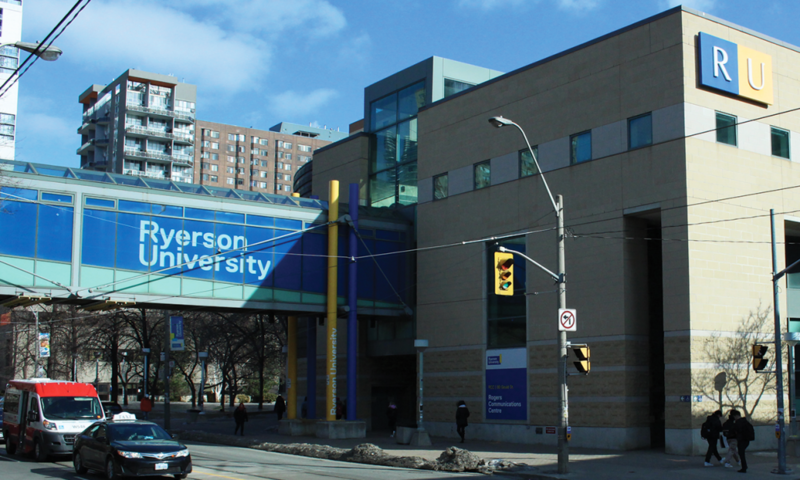 Ryerson placed in the 801-1000 range, and was the lowest ranked Canadian university out of 26. The placement was identical to last year when the university fell from 721, a ranking Ryerson held from 2014 to 2017. Ryerson was topped by the likes of the University of Toronto (28) and McGill University (33), but also Concordia University (464) and the University of Windsor (651-700). According to the methodology of QS, academic reputation (40 per cent), faculty/student ratio (20 per cent), citations per faculty (20 per cent), employer reputation (10 per cent) and international faculty ratio/international student ratio (five per cent each) comprise the rankings. There are 96 universities in Canada, meaning the 2019 ranking did not include 70 other universities. Lachemi says the rankings overlook Ryerson’s strengths in innovation and entrepreneurship, which are not covered by QS. Eduardo Rodriguez, a third-year business management student, concurs with Lachemi’s view. Rodriguez singles out Ryerson’s “innovation and disruption” and in predicting emerging, in-demand fields as its strengths, like the business technology management program. Lachemi is open to submitting data for ranking organizations like QS, but is pushing for them to recognize “the uniqueness of the programs we have at Ryerson” and for the innovation and entrepreneurship. His priorities for rankings are on expanding Ryerson’s reputation locally, rather than internationally. “We are in discussion with a number of those organizations to convince them to take into consideration the aspect of innovation and entrepreneurship and so on, and we will definitely in this case submit our data and our information and that will reflect, in my opinion, better the quality of the work we do at Ryerson,” Lachemi said.